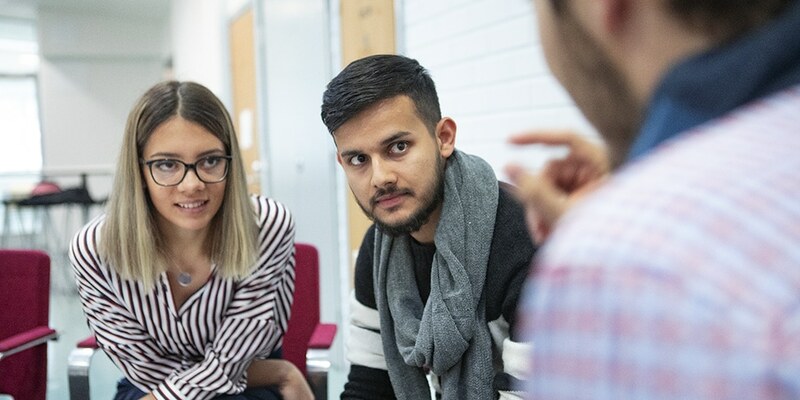 During the first round of the spring joint application process for higher education institutions, around 600 people applied for foreign language programmes at Häme University of Applied Sciences. In addition, over 250 applications have been received so far through the separate application process. The first round of the spring joint application process ended on 23 January. By the time this deadline was reached, around 600 people had applied for foreign language programmes at Häme University of Applied Sciences (HAMK). For HAMK, the application process had been primarily directed at applicants living in Finland. Those living in other countries may apply for the HAMK foreign language programmes starting next autumn through the extended separate application process, which began on 10 January and will continue until 30 April. So far, over 250 people have applied for HAMK foreign language programmes through this separate application process. “The extended separate application process, which was implemented for the first time last autumn, has functioned well. We want to use it to simplify the application process and make it more user-friendly for the applicant, so that studying in Finland would not be restricted by excessively short application periods or excessively long acceptance processes for study places. It is also hoped that by spreading HAMK applicants evenly throughout the year, the busy periods for immigration authorities and embassies would also be eased”, says HAMK’s Vice Rector Heidi Ahokallio-Leppälä. By 23 January, around 850 people had applied for foreign language programmes beginning next autumn. The majority of these come from countries outside of Europe. The applicants represent more than 80 nationalities. The largest number of applications have come from applicants whose country of residence is Finland, Bangladesh, Nepal, Vietnam, Nigeria, India or Morocco. Other countries represented include Denmark, Italy, Australia, Ireland, Norway, Sri Lanka, the UAE, the US, Oman and Germany. Most of the applicants from outside the EU and EEA countries would be paying an annual tuition fee of between 8,700 and 9,700 euros. HAMK’s current scholarship system is based on studies progressing according to schedule. Tuition fees have not affected the spread of countries that students come from, but they are having a brief effect on applicant numbers. HAMK offers a 45% scholarship to students that pay tuition fees, with the condition being that the student’s studies progress according to plan. The student may apply for the first scholarship once they have completed half a year of studies. HAMK’s most popular programmes for international applicants were Computer Applications, which is running for the first time next autumn, and the long-time favourite International Business. HAMK is seeking strong international growth both in numbers of international students on its own campuses as well as through investing in exporting expertise. In Autumn 2019, there will be five English-language programmes running: Computer Applications and Construction Engineering at Hämeenlinna University of Applied Sciences, Mechanical Engineering and Production Technology at the Riihimäki campus, and Electrical and Automation Engineering and International Business at the Valkeakoski campus. In 2020, an additional two English-language programmes will be added: Bioeconomy Engineering and Dairy Engineering.